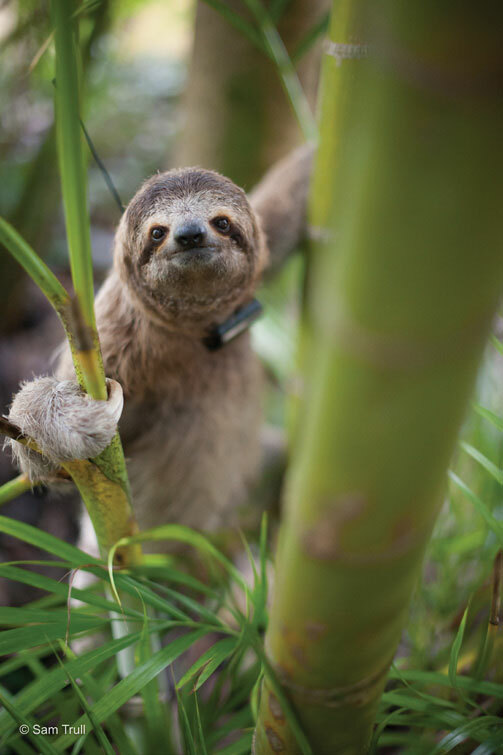 Abusing sloths for selfie tourism is one of the conservation issues that The Sloth Institute (TSI) is very passionate about correcting, but it is one that we often thought would never happen in our “backyard”. Most of the online evidence (photos and videos) of sloths being abused for hugs and photos from tourists originates in other countries, countries that are more ‘well known’ for their wildlife trafficking. But the truth is that these kinds of wildlife crimes DO happen in Costa Rica, even if they are better disguised. Someone may tell you they “rescued” this sloth but now it’s so used to humans that it cannot be released back into the wild. This is a lie. Someone may tell you that the sloth is happy you are giving it a hug, because look…it is smiling! This is a lie. Someone may tell you that wild sloths don’t mind living in captivity because they are lazy anyways and don’t move much. This is a lie. The people who commit these crimes are getting savvy. They know their audience is trying to pay attention, but even a caring tourist can get fooled. The bottom line: Never participate in tourism that encourages you to pet, feed or take photos with wildlife (especially sloths). Esperanza is a young juvenile three-fingered sloth that was rescued here in Costa Rica by the government from this selfish tourism scheme. After a thorough health check by myself and our vet friends at Toucan Rescue Ranch, we released her into the jungle. Luckily, she is now wild and free and being tracked daily by our expert TSI sloth trackers. Since being set free into the jungle where she belongs, she has gained 1 kilogram (nearly doubling her original weight) in just 6 months. This is a testament to sloths being healthier and happier in the wild with the freedom to make their own choices about their own lives. We can stop this industry together. The Sloth Institute (TSI)’s mission is to enhance the welfare and conservation of sloths through research and education. TSI is located in Manuel Antonio, Costa Rica. For more information please email info@theslothinstitute.org. If you see a sloth who needs help: ALL or WHATSAPP +506 87756847/87SLOTHS.